Aurora Computer Technology, Inc. is a pioneer in Information Technology outsourcing. Based in Staten Island, New York, we’ve served scores of businesses and organizations throughout the tri-state area. Reliable I.T. outsource since 1987 Serving businesses in New York and New Jersey. 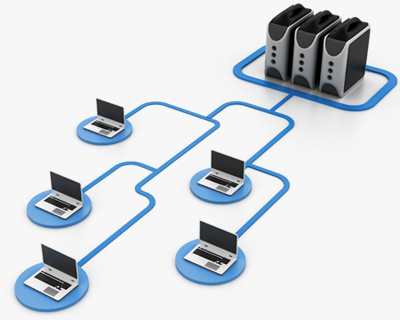 We offer computer networking in Staten Island, Brooklyn and New Jersey for any size business. Your network is critical to running your business. But did you realize your network security is probably being probed for vulnerabilities on a daily basis? A well planned wireless network permits you to easily expand your internal network and improve your employee productivity. Printing in the workplace no longer has to be a source of frustration. Now there are many integrated options to take advantage of in a network printer. Do you want to connect to your computer across the Internet from virtually any computer or Smartphone? Struggling with slow or unreliable Internet connection in the office? There are a number of reasons for poor performance over your Internet access. Not only can you archive your digital surveillance camera system footage, you can view it remotely over the Internet. Ever wonder if you’re paying too much for that website hosting or application hosting you signed up for years ago? We often discover that our clients are paying too much.